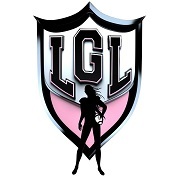 The LGL is an Australian owned and run National Women’s Gridiron competition and Australia’s newest and most empowering sport for women. Professional athletes from around the country compete in some of Australia’s most prestigious stadiums such as, City Mazda Stadium Adelaide and nib Stadium Perth. The LGL has partnered with FOXTEL and the Aurora channel for the 2015/16 season who were the official TV broadcaster for the Tri-Nations Series held in December 2014 between Team Australia, Team New Zealand and Team USA. Aurora will broadcast all LGL games of the upcoming LGL season nationally commencing in November 2015. Where is the LGL headed?